2 + items $17.50 ea. 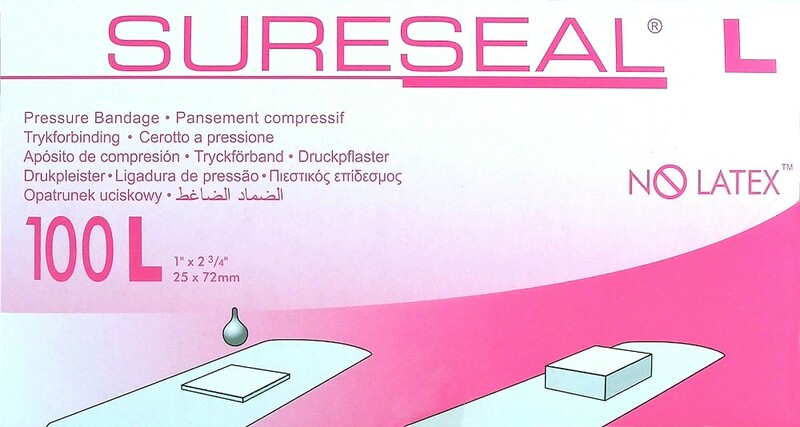 Expands to apply pressure continuously. 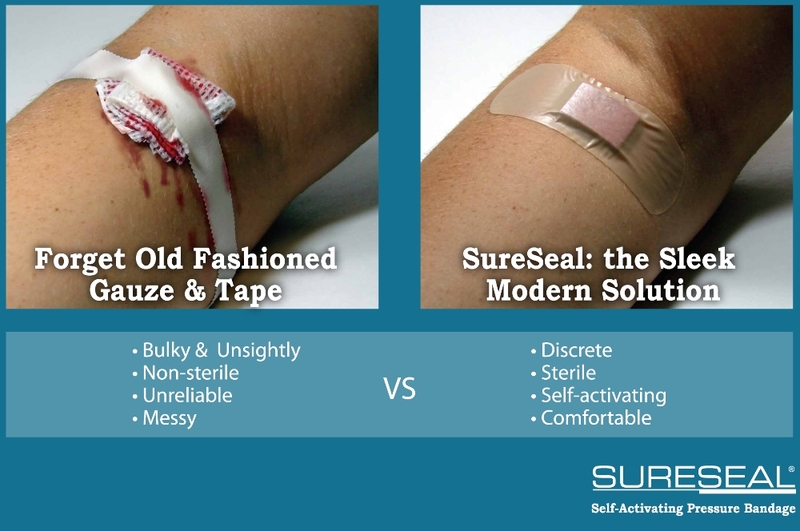 Seals & isolates site securely on all sides. 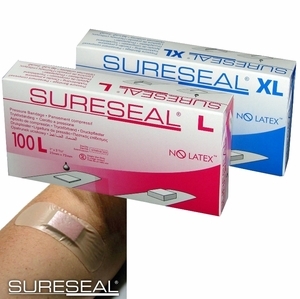 More effective alternative to gauze dressings. Saves on material and labor costs. More time for personalized patient care. Helps improve staff & unit efficiencies and economies. Demonstrates commitment to improved patient care. 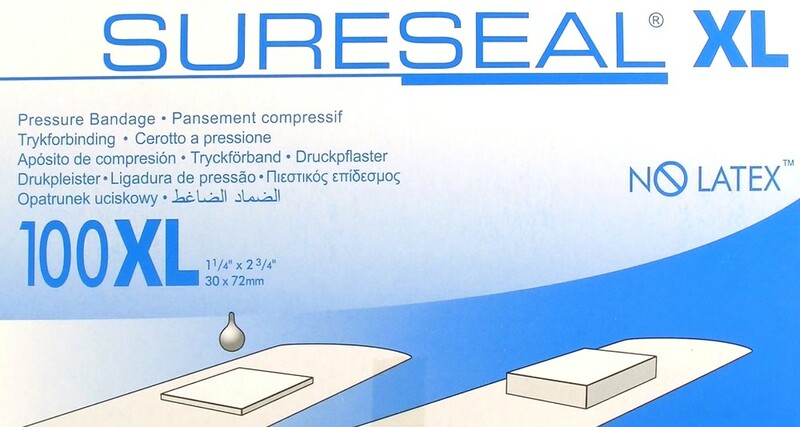 Instructions and packaging in 12 languages. Leaving a SureSeal bandage on for less than eight hours allows for removing it carefully without any additional intervention. 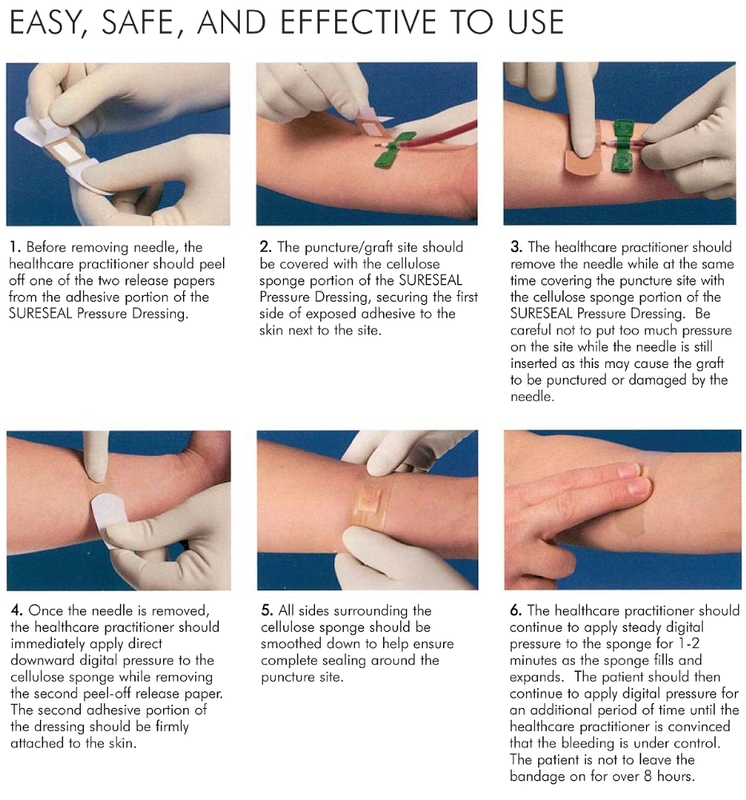 If you have SureSeal bandage usage suggestions you would like to share with other dialysis patients, please email us at customerservice@hightidehealth.com. We would love to post them!